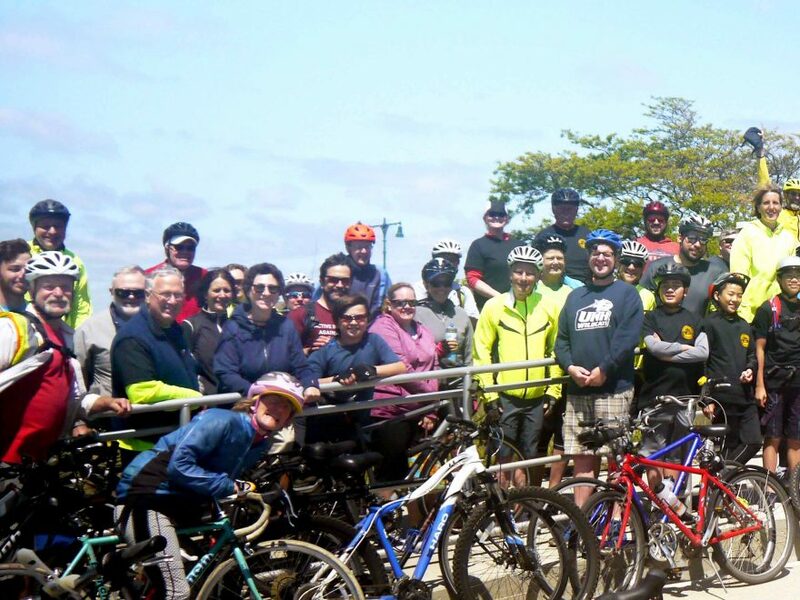 Lynn Seeks Opinions on Connecting Pedestrians and Bicyclists to Nahant Beach – Bike to the Sea, Inc. The City of Lynn wants public opinion on what streets in Lynn work best to connect pedestrians and bicyclists to the Lynn Shore and Nahant Beach. Meetings and workshops are scheduled on three days to collect information and to inform the public about these plans. If interested drop by on Tuesday, Wednesday, and/or Thursday, November 13-15, in the City Hall auditorium, 3 City Hall Square, in Lynn. To find out specifics about each day’s activities, check out the Lynn Walking and Bicycling Network Plan website. This is the second round of meetings regarding this topic. The first round featured meetings and workshop in August. To find out what plans were developed then, check out this page on the Lynn Walking and Bicycling Network Plan website. Work is being done to extend the Northern Strand Community Trail from the Saugus/Lynn line to the Nahant Beach and it’s expected this plan will tie into that.